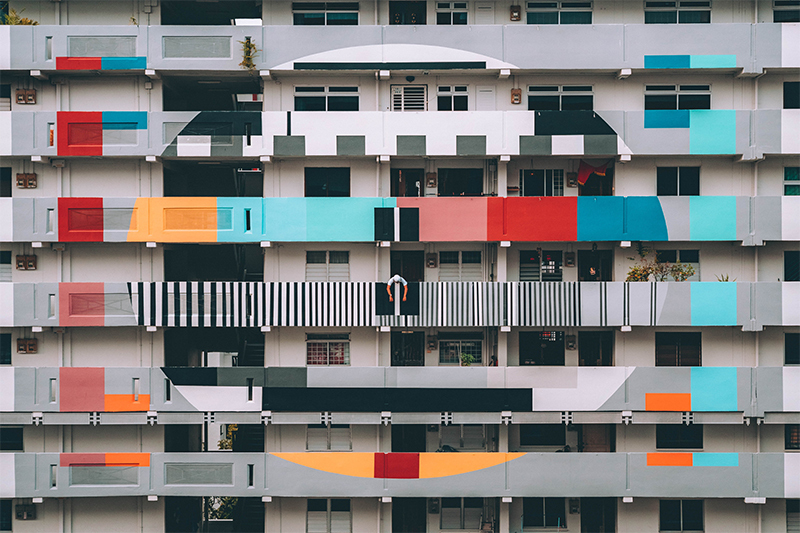 Singapore’s Housing Development Board (HDB)’s HDB Smart Hub was recently conferred the Best Adoption Award for public sector under the SG:D TechBlazer Awards. Prior to the awards ceremony, I have a quick chat with Mr Fong Chun Wah, Deputy Chief Executive Officer (Building), HDB, about what residents can look out for thanks to the Smart Hub. What’s so Smart about the Smart Hub? HDB Smart Hub is a digital platform which integrates, manages and analyses data centrally. Using the data generated from building services such as utilities, lighting and lifts can be analysed to identify areas of improvement. A data driven solution will bring about more convenience for residents and optimise estate operations of HDB towns. Town Councils may monitor and deliver estate services in a more efficient and effective manner. Moreover, the Smart Hub supports the Board’s planning and design processes, and community development efforts. In their words, the Smart Hub is akin to the ‘brain’ of an HDB estate, making it a living lab. The information is gathered real-time from sensors around the estate into a central repository within HDB on a dashboard. HDB is working with various industry partners to roll-out their ideas. The first phase of Smart Hub has been implemented in Yuhua estate. Teck Ghee, Punggol and Tengah will be next in line for data monitoring and analysis. While these things seem to be more of planning and construction, the impact felt by residents will be immeasurable. Mr Fong shares with us that it is the residents who are at the heart of many of their projects. HDB is merely the enabler in envisioning a futuristic estate. Take the Smart Socket project for example. To be rolled out in the Punggol Northshore district, residents will have the convenience of having an IoT-friendly home. IoT home devices to manage wellness and utilities typically need homes to be specially configured. Cognisant of the trend, the smart socket allows HDB residents to be smart ready without having to reconfigure their homes or purchase smart plugs. Sticking to the guiding principle of enabler, Mr Fong says HDB will not be rolling out applications which compete with those which exist in the open market. Residents are free to pick and choose their own. HDB’s role is to play a supporting role by wiring homes in such a way that complement whichever services residents choose. Tengah town is the next up and coming town. Designed to be sustainable and encourage residents to live greener lifestyles, Tengah will have utilities and waste management services. Mr Fong gives the example of the smart Pneumatic Waste Conveyance System (PWCS). The system promotes a more hygienic and efficient method of waste collection and management. As an automated and enclosed waste collection system, it uses high speed air suction to transport household waste via an underground network to the Centralised Bin Centre. Close to 3000 units will be connected to a single point. The number of trucks moving between blocks will significantly refuse. Importantly, the technology addresses manpower needs for cleaners. The third and perhaps the most astute to Singapore’s demographic change, is a collaboration with hospitals and Pioneer Generation partners on Smart Elderly Monitoring. “Elderly at home are very vulnerable to falls. Instead of technologies which ties one to a pull cord, the smart technology is to enable the home to have sensors. It learns how the elderly behaves. If there is an abnormality detected, the information is immediately sent to their loved ones, so they can check on them. This is one of the things HDB is exploring,” said Mr Fong. The service has been trialled with various service providers to roll out the technology. Although HDB did not provide the service directly, testing was conduct in tandem with the service providers. Upon an elderly’s discharge from the hospital, for example, healthcare workers can inform the patient about the available technology in the market.